When it comes to wedding planning, it’s oh-so-easy to go a little overboard on spending. And many newlyweds don’t realize how much money they could’ve saved until the big day is over. So, to save you from some serious buyer’s remorse and to help you put your dollars in all the right places, we’ve rounded up recommendations on where to save and where to splurge from thirteen expert wedding vendors. Check out these wedding budget tips. Save: I think there is no need to splurge on bridesmaid proposals. Although there are some tempting and adorable options available, they simply are not a necessity. 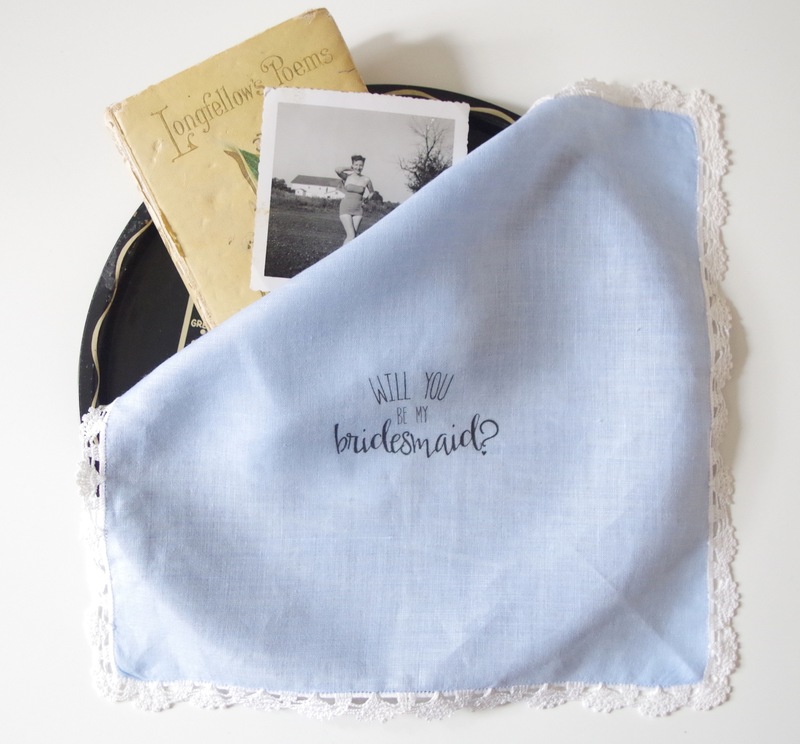 You will most likely be purchasing these items very early in the planning process and you have probably spent little to no money on your wedding at this point. However in a couple months, you will start to see the expenses add up. If you can eliminate a small, miscellaneous expense and apply that money to a larger ticket item, you will win every time! Don’t forget that you will most likely be gifting your bridesmaids again on your wedding day, so be cautious of the extra expense. Save: Programs. I really hate to say this because I just love a good paper product. But, it’s the big item most people throw away at the end of the night. Splurge: It is worth every penny to upgrade your flatware, glassware, and plates. Your table settings are a must-have because your guests interact with them. They touch, move, eat, and drink with these items and they make a huge impact on your guests. And, remember you also have to have multiple sets. 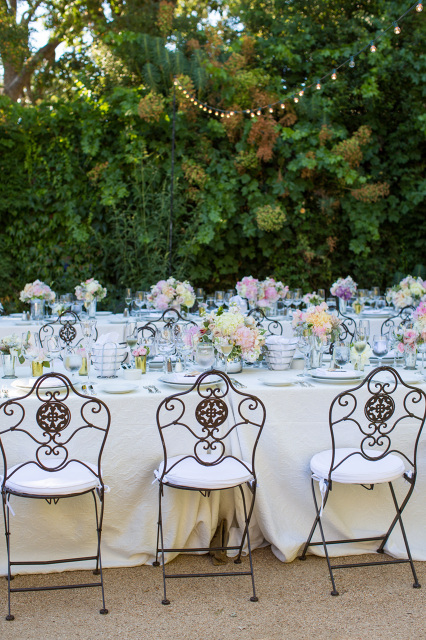 This includes three pieces of glassware and four to six pieces of flatware for each guest. Even if you can’t afford huge, lush floral arrangements, these settings will fill in where your flowers can’t. And, they will game change the overall big day design. Upgraded settings are only .35 to .80 cents per piece, therefore it’s such a cost effective and smart way to play up your design. Save: I feel like that’s so personal, because the quirky choices are what make weddings individual to each couple and their story, and I kind of love them all. I can say that I choose to make my own dress and that I don’t regret it! I did a riff from a 1960’s vintage sewing pattern and ended up with an awesome gown that was totally my style. Splurge: So, as both a married person as well as a wedding photographer, I’d say whatever you do, don’t skimp on the photography! Save: This one is tough, because there are so many things I’d counsel couples to eliminate if budget is an issue! I suppose my number one would be chair covers. They’re surprisingly expensive. They’re often uncomfortable to sit on, too. So, even though they can look pretty, they don’t add to your guests’ experience and might even detract from it. 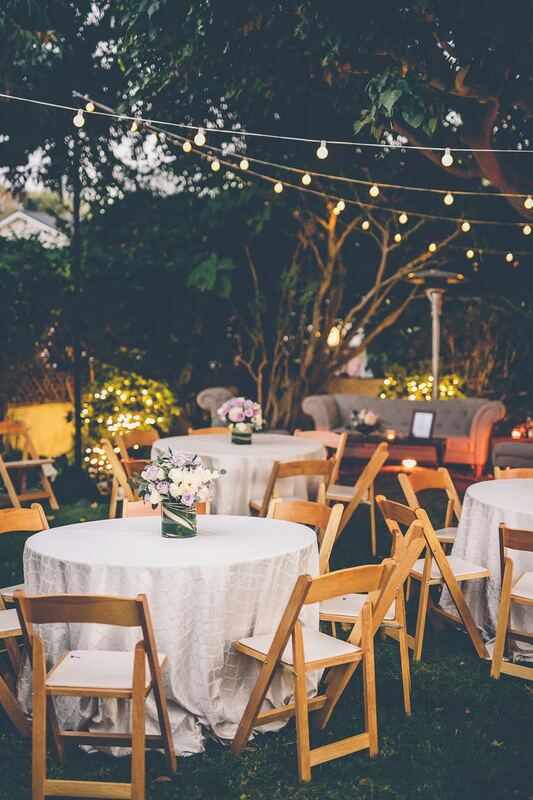 If you truly have ugly chairs at your venue, then use the money you’d spend on chair covers to rent attractive chairs instead. Splurge: I’d actually say a good photographer is my number one wedding expense that’s worth the cost. Photos are one of the few tangible things couples get to keep after the big day, and it breaks my heart when people go cheap on the snapshots because they’re almost always disappointed later. Couples, you don’t get a chance to redo your wedding, so choose a good photographer who’ll be able to capture images you’ll love and pass down to your children and their children. It’s worth the money you’ll spend and you can’t put a price on memories. 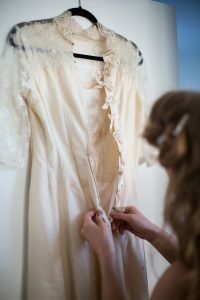 Save: Don’t buy your wedding attire! 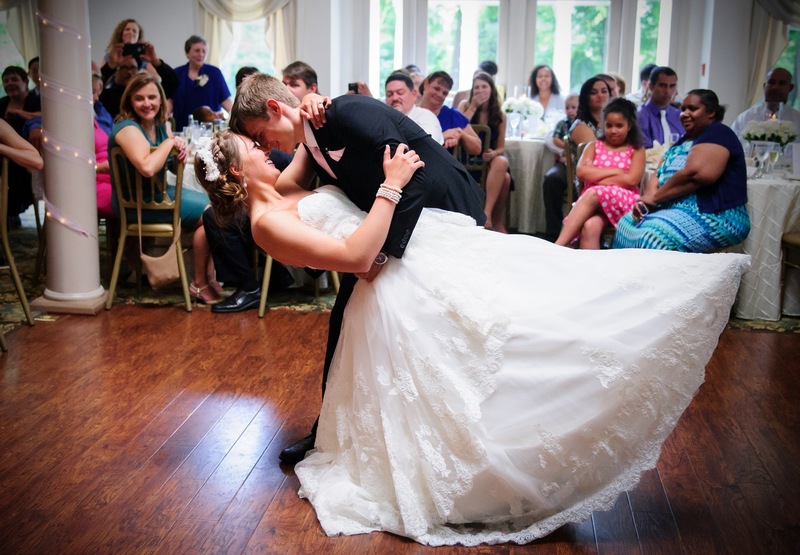 The services that offer online tux, bridesmaids, and wedding dress rentals are great. Unless you are very sentimental, why not just rent your special outfit for the day and send it back? In most cases, you will not wear it again. Plus, hopefully, you are not planning to pass your wedding dresses and suits down to your grandchildren (poor kids!). Save: I’m going to have to go with favors. Yes, they’re cute and “thoughtful” but for the most part, guests don’t care and quite a few of them actually FORGET them when they leave. It’s extra cost that you can put towards something else like in your linen choices or florals. Splurge: As a wedding designer, I truly feel that linens make all of the difference in the look and feel of the “I dos.” They can add warmth and they can really show your style. Save: Cheap photo booths! Make sure the quality of the snapshots and the prints are acceptable as a take home goodie for your guests. There’s no excuse for crappy photo booth strips, even from budget booth companies. Ask your photographer if he or she would consider setting up a live photo station with an associate for an extra fee and get the props yourself. Having an actual photographer interact with guests makes the photos that much more fun! 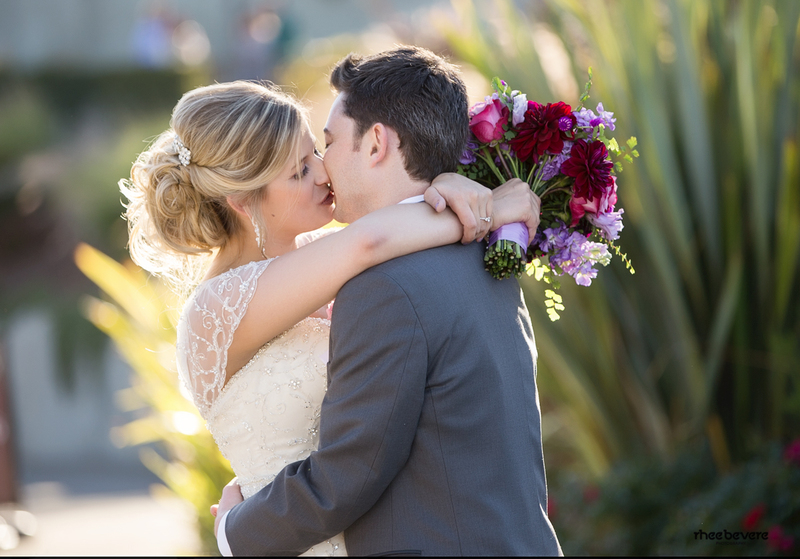 Splurge: The photographer is the most critical thing you’ll pay for when investing in wedding photography. Not the files, not the album, not prints, or canvases. The skill, talent, experience, attitude, and professionalism of your photography team is critical. If you “cheap out” on that team, what good is having those files? I’m saddened and surprised when I hear of a couple is willing to spend more on their guests’ dinner and drinks than they are on themselves to preserve their special memories. Save: Nothing makes me cringe more than seeing a mass produced $200 necklace that is dramatically overpriced with no extra quality or detail to show for the price markup. Most of the time, you can find a handmade artist to create something personal for you that will not only be of higher quality. 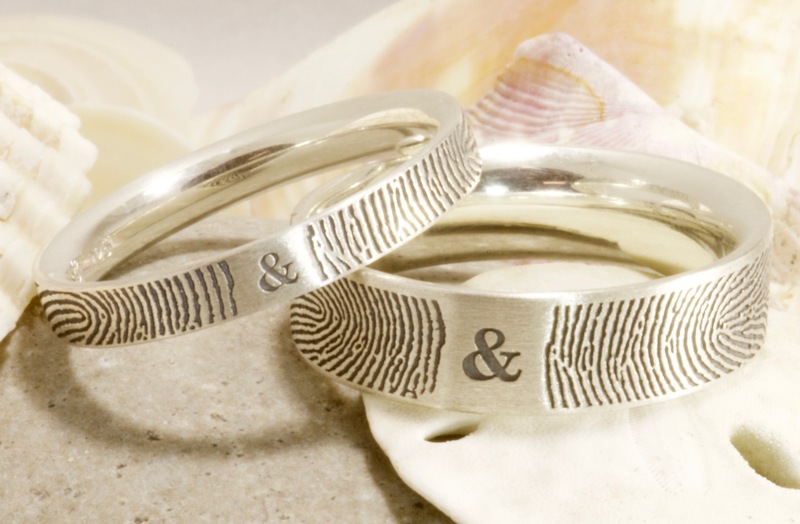 It will have a unique design and you will have something that you can cherish for a lifetime. There is something beautiful about a handmade accessory. Not only will you get a higher quality design, but you will be able to be a part of the design process! That’s the beauty of handmade, you can be have a say in how your item turns out in terms of changing pearl colors, making size changes, metal finishes, and many other ways. If you are going to splurge, don’t splurge on the mass produced, over priced sparklers. Shop around before you buy and always consider purchasing handmade items. Splurge: The perfect bridal jewelry and hair accessories are a must-have to complete your bridal look. You can use jewelry to add sparkle, elegance, or for the bolder brides, you can use accessories to tie all the colors of your wedding together. Whether you choose to go simple with minimal bling or you go with sparkling statement pieces, the perfect jewelry and hair pieces can make or break your “I do” style. 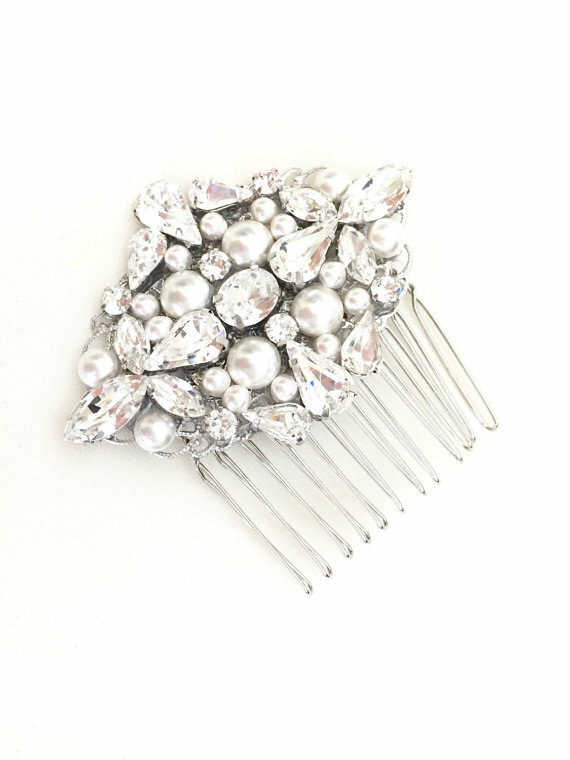 It’s important to remember that your bridal accessories should not take away from it or overpower your look. 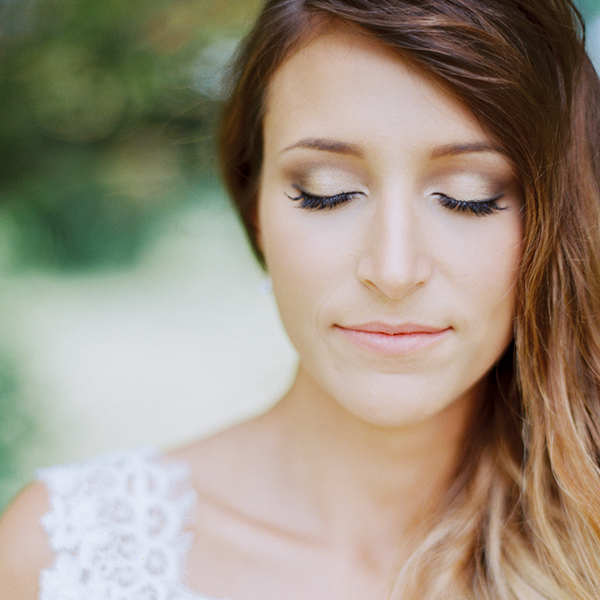 A more simple gown can look amazing with both a little glitter or high impact jewelry. For a busier dress with more volume, sparkle, or details, we recommend simple accessories which will add to your look and not overpower it. Minimalist bling can pack the sparkle just as well as a statement piece can if you choose your jewels carefully. Save: Pre-made favors. I can’t tell you how many weddings our crew has cleaned up and found dozens of favors left behind on tables, seats, and even on the dance floor. Favors created “on-the-spot” by guests add to the big day experience because it’s an interactive memory. You’ll very rarely see a caricature sketched in-the-moment by a live artist, photo booth strips, a hand-rolled cigar, or a make-your-own dessert station box left behind. Couples should consider if the favor will not only fit the theme, style, and tone of your wedding, but also if your guests will really want a tiny bag of monogrammed mints. Splurge: Draping and backdrops. Many people forget that there are areas that guests will focus their attention on all night long, such as the cake table or sweetheart table. Yet often the cake is in a corner, next to a door, or there’s a blank wall and not eye-catching at all. To fix this, up-lighting can help, but I think draping can truly transform a room. 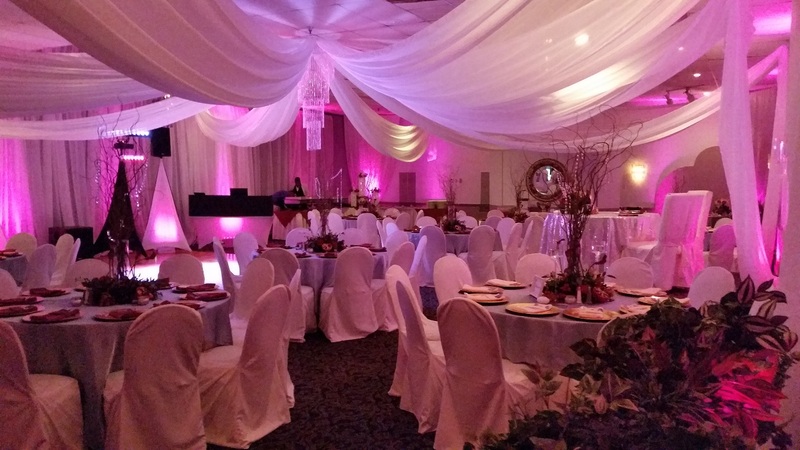 Couples should opt for professional ceiling draping with large, wide panels of fabric if they want a dramatic look. Modern and minimal nearlyweds will love a simple, layered backdrop behind the sweetheart table for a stunning impact. Also, couples should remember backdrops don’t have to be just fabric! Instead, backdrops can be bright floral walls cascading with blossoms and greenery, rustic like palette walls with picture frames, vintage boudoir screens, and stand alone country-style doors. Splurge: A reliable wedding website with online RSVPs – this will be a go-to for your guests to get all of the information they need, like travel and accommodation details, dates and times of your various events, information about your registry, how to contact you with last minute questions, and anything else. You want to be sure that you are working with a reliable wedding website and online RSVP service with a history of happy clients. It is important to choose a service that allows you to customize your site’s look and feel to match your personalities, protects you and your guests’ privacy, and works seamlessly on all devices. Save: Favors are the one wedding detail that can be removed from your to-do list. Although, there are many new ideas for personalized goodies, such as small edibles like chocolate and cookies, these items have a history of being thrown away or left on the table untouched. 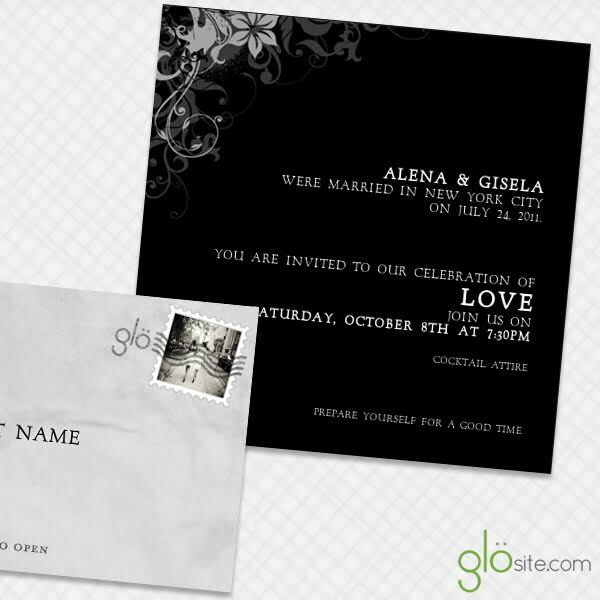 These favors are definitely not required and won’t be missed at the reception! 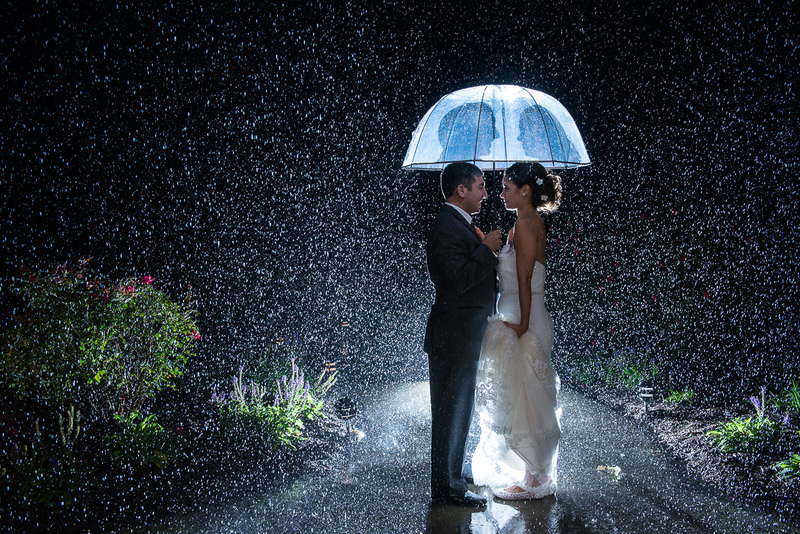 Splurge: Photography is a must-have for every wedding. After all of your planning and vendor meetings, you want to make sure you and your S.O. have the photo memories for years to come. This is not the time to be your cousin, friend, or sibling’s first customer in their new photography business. Invest in a seasoned photographer because it is so worth it! Save: Do not splurge on is any specialized beauty treatment you haven’t tried before! This can be facials, microdermabrasion, chemical peels, fillers, or other treatments that will affect your skin. 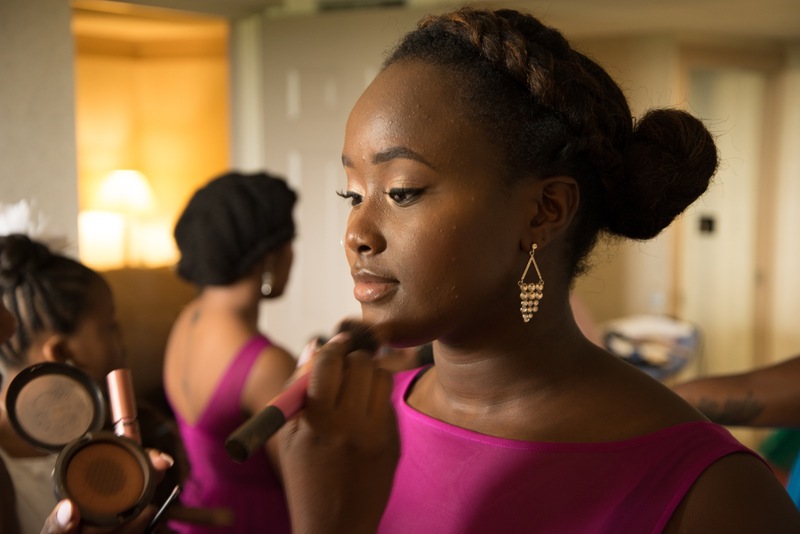 Unless you try these things far in advance of your wedding, there can be serious reactions that cause the exact opposite effect and leave you with lots of issues your makeup artist needs to fix on the day of. And, some which cannot be fixed with makeup! If you have lived this long without it and your skin has been fine up until this point, you are usually better off leaving things as they are.